Jewelry is undeniably one of the most purchased luxury items. It is a woman’s best friend and without a doubt, a man’s safest purchase. A piece of jewelry is an important item, being not only the symbol of eternal love, but also the expression of external beauty, well-being and refinement. Jewelry is graciously manufactured and therefore needs to be meticulously taken care of. Thus, the crucial task of looking over jewelry falls into the hands of the retailer, which will not only care for these delicate items, but will also try and showcase them in the best way possible. Lighting is crucial, but the display is even more important. A jewelry display can either spark people’s interest to take a better look at your products or it can fail at attracting customers towards it and keep them right on walking. An effective jewelry display should fade into the background, letting the jewelry itself entice the potential customers to take a closer look. We have created a list of The Most Important Types of Jewelry Displays with the intention of helping you choose the right display for the type of jewelry you are choosing to showcase and for offering you a new perspective into modern-age showcasing. The beauty of jewelry holders is that they are probably the most efficient way of storing your items of jewelry and always having them within your reach at all times as well. They are especially designed to help you organize your collection better and also gorgeously decorate your house. All holders offer unique and interesting methods of displaying your precious jewelry and their goal is to make your belongings stand out to everyone! They can feature lovely animal forms, floral motifs, unconventional and one of a kind handmade patterns or various other intricate and enticing versions! 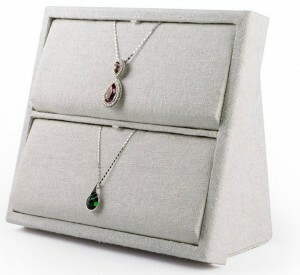 Jewelry boxes offer one of the safest and elegant manner of keeping your jewelry collection neatly organized. They are carefully and intricately manufactured out of strong and resistant material that will readily protect them from damage. Their cover patterns present unique and exquisite works of finesse and skilled craftsmanship to make the storing of your items even more special! They are also well and smartly organized to help you keep a clear track of your collection. Jewelry boxes are a great way of organizing your belongings, keeping them safe and decorating your environment with fabulous and unique pieces of art. Their cover patterns present unique and exquisite works of finesse and skilled craftsmanship to make the storing of your items even more special! They are also well and smartly organized to help you keep a clear track of your collection. Jewelry boxes are a great way of organizing your belongings, keeping them safe and decorating your environment with fabulous and unique pieces of art. Jewelry display cases are a necessity, not only for showcasing these beautiful creations, but also for protecting them. 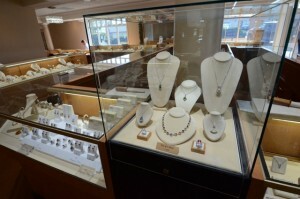 Display cases naturally discourage shoplifting, a phenomenon that is unfortunately frequently encountered in jewelry stores. Shoplifters usually go after high-end and expensive jewelry items, so these should be protected the most. Another reason why you should consider using a showcase for displaying your jewelry is that it makes it easier for customers to see all their details. Lights are usually built in showcases and that is no coincidence – the lighting that they grant offers a better perspective over these pieces, highlighting their cuts and spotlight their diamonds. A back, cool-toned white light will enhance your jewelry, allowing customers to see intricate details that they would not notice otherwise. Jewelry display cases can be of four types: counter, middle-floor, wall and built-in. Counter showcases are designed to present objects from “the customer’s side” and are accessible through “the clerk’s side”. For this reason, counter showcases are more relevant in retail stores. Middle-floor cases display objects from all sides and are meant to be positioned in the middle of the room. Here you should display lower priced items that are more suitable for impulse buying. Wall showcases should be positioned against a wall. They are great at providing product space and presentation space around the perimeter of the room, while keeping the space feel uncrowded. Built-in displays are the best choice when it comes to smart space economy. They can either be mounted on the walls, hang from the ceiling or act as room partitions. Whether investing in a wall jewelry showcase or in a wall showcase, you must make a thoughtful decision before combining your showcases with the rest of your store, and clearly, your products. Modern, elegant and attractive, display mannequins are the most efficient way of showing off items of jewelry. Not only do they immediately catch someone’s eye, but they are also meant to present the features, use and type of the item of jewelry as well. Their imposing and sophisticated manner of display is more than ideal for any jewelry department store or for a more unique and unconventional presentation of your jewelry at home. They are stylish, captivating and offer a lofty and catchy vibe, thus making them perfect for showing off jewelry in specialized stores’ displays! A jewelry display stand should be specific for the type of jewelry you are choosing to display, be it necklaces, bracelets, earrings, rings or many, many other things. Semi-busts are perfect for necklaces and they can hold up to 3 of them or even more. T-shaped stands are good as well for showcasing necklaces, offering great visibility and being capable of holding more pieces. 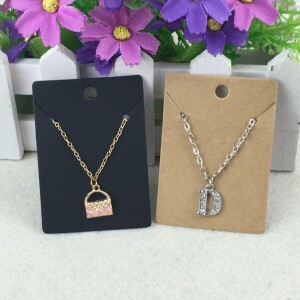 If you consider bringing out a certain necklace, you are able to find online all sorts of unique styled stands that can match it. For example, a lady mannequin stand or an antique looking tree can have a better impact on your jewelry than a regular t-shaped stand. But, remember, don’t overcrowd your store with too many display stand designs. 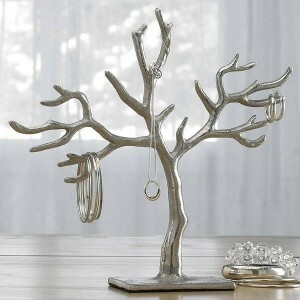 The holy grail of bracelet display stands is the t-shaped bar display. It is usually covered in velvet, for a more elegant touch, but it can also be made out of wood, plastic and metal. The material should be chosen accordingly to your needs and to the jewelry’s aspect. While a plastic holder gives a more realistic look, a metal holder will appear more edgy and sophisticated. Other popular options for displaying bracelets are hand shaped holders and vertical display stands. 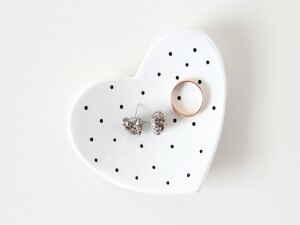 Out of all the categories listed above, earring stands come in the most shapes and sizes and most of them have the capacity of holding many pairs of earrings. For example, a spiral-shaped stand will feature more clarity and will enhance better a bigger number of pairs of earrings than a simple square shaped organizer. Moreover, if you desire to highlight a certain pair of long, beautifully crafted earrings, there are many unique earing stands suitable for only one pair of earrings. Some of the most common types of trays include luxury wooden trays, square trays and cabinets, price cube trays and leatherette jewelry trays. These pieces are simpler and a more classical approach to the endless types of stands available nowadays. Wooden trays are mostly used in glass showcases and they can store all the types of jewelry mentioned above. When choosing a tray, you should always consider the material placed on its bottom. It should prevent tarnish, keep away moisture and avert dust. Another important aspect is the colour of the material, as it can either make jewelry pop-up or disappear, fading into the background. Most jewelry stores come up with a colour scheme for their store in order to avoid overcrowding the space and the colours that they usually pick are black, white or red. Read the complete article about jewelry display trays here: …. A more classy approach to jewelry displays are the jewelry risers, often met in high-end, luxurious stores. Even though jewelry risers can be used for a variety of things, their ability to bring height levels to your display is one of their most useful aspects. By using varied heights throughout your display table, customer’s eyes will naturally browse through your pieces, facilitating their intention to find and purchase the items that they love. Jewelry risers are going to add dimension to your retail display. You can drape bracelets and chains over the gentle curves of these display stands or you can place boxed jewelry atop nested risers to highlight special designs or even to empathize on items that are on sale. Retail stores often use acrylic display stands to highlight new and discounted merchandise. The unique look of clear fixtures will attracts attention and invite passersby to stop and notice the jewelry placed above them. Jewelry risers are manufactured in many shapes, the most popular of them being round, square, cubic and hexagonal. You can pick from materials such as velvet, plastic, acryl, metal and even wood. They usually come in sets of at least two, but they can go up, depending on the set-up you envision for the collection you intend to showcase. A jewelry riser display is an exceptionally diverse tool for a seller. It can be shaped and changed in any way to efficiently showcase jewelry in a beautiful manner. When they are displayed on a riser, any jewelry turns out to be more appealing to the eye, as the customers can get a clearer view of it. For this reason, the jewelry can be admired by them from various angles, to get a better image and to properly see how the displayed jewelry really looks like. Choose the style that fits your store and level-up your retail game, you will not regret it. You can find products online or you can visit vintage fairs if you wish to own a unique, one of a kind rising stand. Even though jewelry had been used as currency in the past, its first and most important use is and will always be the adornment of the human body. The way jewelry items are displayed is, in some cases, as important as the jewelry itself. Velvet, leather, wood, acrylic and glass are some of the most popular materials in which jewelry stands are manufactured. Racks, busts, mannequins and stands are the most favored types of jewelry display stands. All in all, the retailer must determine first the purpose of purchasing a stand and only after that he should consider other important aspects like security, style, portability and price. Every item in a merchandiser’s store should represent his business perception. What’s amazing about jewelry display is most probably the variety and diversity they have to offer; they all come in a wide range of sizes and in numerous patterns, colors, designs etc. They are equipped to display all kinds of jewelry, earrings, rings, bracelets, brooches included. They can contain entire sets that will display the whole of your collection of jewelry or smaller sets to decorate and complete your other products in the display of your store. Jewelry Display Pads are an efficient, space-saving and very useful for displaying pieces of jewelry separately. They are usually made of a soft and smooth material to pin and hang various items of jewelry on. They are best fit for smaller pieces, such as brooches, pairs of earrings, rings and bracelets. They also provide an elegant, simplistic and classy way of showing off jewelry. Pads are ideal and very handy when setting up jewelry department stores displays, a great touch of significant detail and definitely a delicate and crafty manner of exhibiting various types of jewelry items. Moreover, they are perfectly fit for your own personal use at home. Their soft texture will provide a gentle care for your belongings and keep them beautifully displayed before anyone else! Pads are usually utilized in ring boxes, watch stands and jewelry cabinets but they can just as well be used on their own as well. Display Racks are a very efficient and helpful way of displaying many kinds of jewelry; they are fit for watches, bracelets, earrings, upper arm bracelets and so on. They are usually very diverse, you can display your items by either hanging them on the racks or stacking them; they feature hooks, stands and they are generally the perfect way of completing your store’s display window without making it look too crowded. Jewelry display racks are one of the most versatile display solution and they usually go well with every product you can think of. They also feature a range of benefits, it is multifunctional (i.e. you can display your products by hanging as well as by stacking them) and also they can be used front side as well as back side, so that you can display the optimum amount of jewelry in limited space. This kind of jewelry display is the perfect fit for jewelry display stores; they are stylish, simplistic and elegant and they are most suitable for bracelets, watches and necklaces. 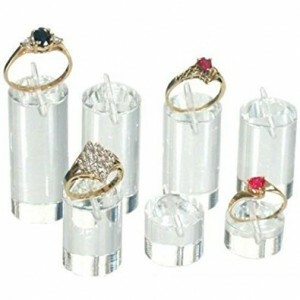 You can easily present plenty of jewelry items to your customers with their help and beautify the display case as well. Slat-wall displays are an amazing way of filling up your walls with various kinds of jewelry. They can be easily set up and are usually large enough to display a significant number of jewelry. You can use them as part of intricate jewelry display sets or separately. They are created in order to catch anyone’s eye and to efficiently show off pairs of earrings, rings, brooches and so on. Jewelry cards are most suitable for the display of pairs of earrings, brooches and rings. They are usually small and square-shaped and they are great for filling up empty space in your window store. They can be placed anywhere as they take up no space whatsoever and are a good and chic finishing touch when decorating or setting up any window case or display of jewelry sets. Jewelry cards are easy to use and very convenient when presenting a large number of small jewelry items. They are usually made of plastic and come in various colors. Depending on your intended use, you can also arrange them in various fun and interesting forms in order to make your display of jewelry more attractive. Jewelry cards are a small yet significant manner of showing off jewelry in stores or at home and they can prove to be very useful in any jewelry display set. Jewelry display trunks are an elegant and trustworthy way of displaying jewelry, they are roomy and available in various and diverse patterns, colors and style. They provide several ways of storing and organizing jewelry and they are made of made of strong, sturdy material. Display trunks are a beautiful way of decorating the window case of your jewelry store and offer it a more rustic and vintage style. They have a certain charm on their own and a gorgeous and unique decorative item. They display various patterns – flowers, vines, traditional motifs and so on. They are great for being used in jewelry stores or for your own use at home. They offer safe storing and a chic and attractive display of your jewelry collections and they definitely stand out in the crowd. Most of them are crafted with great care by hand out of wood, thus making each one of them unique. Jewelry dishes are a delicate and dainty way of presenting items of jewelry. They offer a stylish and elegant look and are great for a more sophisticated touch in any jewelry display. They can be readily integrated in more stylish and fancy exhibitions of jewelry. They are usually manufactured out of ceramic, brass or plastic. They come in many shapes, flowers, animals, geometrical figures and all other sorts. They are also available in a variety of colors. Jewelry dishes can be a very elegant and subtle touch for any jewelry display. They can be used separately or variously organized and they are also great for personal use at home. Dishes can be easily placed around in the store’s window display for a refined and classy vibe to any jewelry set. They are stylish, neat and attractive and they will make any ring, bracelet, brooch or pair of earring stand out. Jewelry display bags offer a great and very convenient way of organizing and storing your jewelry collection. They come in many sizes but they are usually really spacious so they can easily accommodate the entirety of your jewelry set. They require no assembly and they can be put up without an effort. They literally take up no space and are easily spotted. Display bags are ideal for filling up empty wall space and showing off your products at the same time. They offer a modern vibe and are able to store a great number of jewelry, such as, pairs of earrings, brooches, rings and various other kinds of small jewelry and trinkets. They can be hung onto cabinet or closet doors as well. They offer a very efficient, time and space-saving alternative to storing and displaying jewelry and they are equipped with plenty of pockets for a safer keeping as well.